Before the Prohibition, Newark, New Jersey was home to the best cider in the United States. With the arrival of Ironbound Hard Cider, Newark seeks to recapture that title. 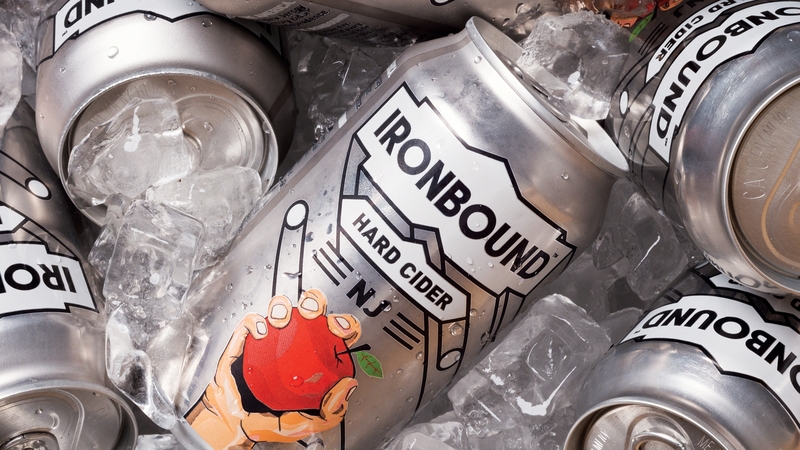 Founded by Charles Rosen after leaving a career in advertising, Ironbound is a return not only to one of the city’s original industries, but to a bold tasting cider, free of concentrate and saccharine flavors that the American palette has grown accustomed to. In a city where progress is often stratified, Ironbound has provided opportunity and growth for those at risk of being left behind. Rosen worked with apple historians, and preservationists to revive heirloom varieties thought to be extinct: like the Harrison and Canfield. Some of these apples take their names from Newark’s own founding families, and were key to the drink that George Washington praised as the “champagne of ciders.” Rosen runs the orchard New Ark Farms, and the cider manufacturer Jersey Cider Works, which because of complicated state laws are on the same property. Together, they form what he calls a “closed loop economy,” meaning that the waste of one is repurposed by the other. Ironbound’s workforce is largely drawn from one of Newark’s most underserved communities—the formerly incarcerated. In conjunction with Rutgers University and the New Jersey Institute for Social Justice, Rosen launched a workplace development curriculum for his employees in subjects like fiscal management and conflict resolution. This is all part of Ironbound’s commitment to growing strong communities by cultivating strong individuals. Ironbound takes its name from a diverse neighborhood in Newark’s East Ward. Once heavily industrialized, railroads, forges, and foundries encircled the area. It was hemmed in by industry—iron bound. Rosen runs the small-scale orchard, New Ark Farms, and the cider manufacturer, Jersey Cider Works, which because of complicated state laws are on the same property. Together they form what he calls a “closed loop economy,” meaning that the waste of one is repurposed by the other. This transformative arc needed to be represented in the brand identity. On the packaging, karlssonwilker developed a sketch of the hand grasping a Harrison apple, taken from a photo of the head farmer holding an apple. Our collaboration with Ironbound continues as the brand expands.